It has been a long, long summer with gold, silver and bronze liberally distributed from our nation’s capital in what was a memorable and epic Olympic Games. 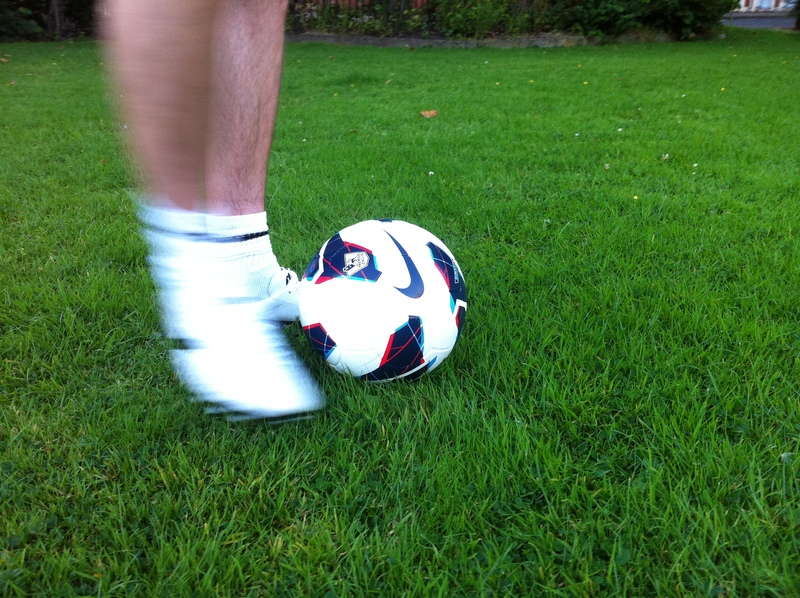 But now that is done and dusted, it’s back to business and back to the football season and that means Sport-locker.net can bring you another exclusive football boot play test review. Earlier this year we reported the release of the Mizuno Morelia Neo football boots with Brazilian superstar Hulk the face/feet behind the unveiling. 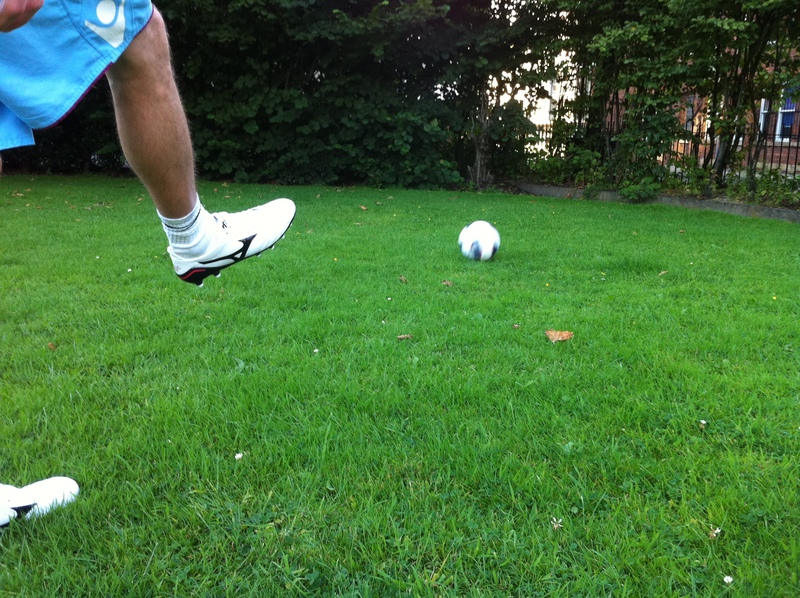 Having been promised Mizuno’s lightest ever leather football boots, expectations were high (or low?) and we were not disappointed. 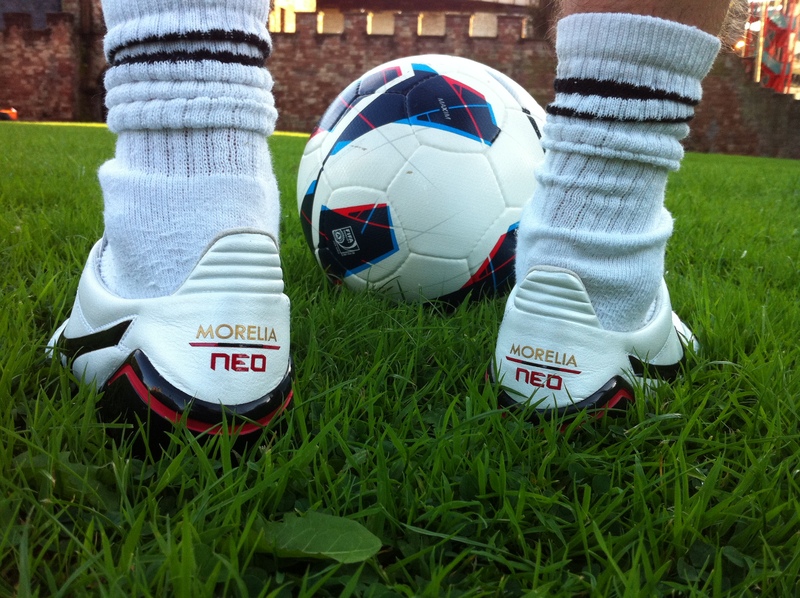 The Morelia Neos are seriously light, 170g light to be precise. This is certainly the most striking and impressive feature upon introduction. Once we picked our jaw up off the floor we took time to cast judgment over the pearl/black/red colourway. While they do not hog the headlines like their hulk inspired green siblings, the colours are fresh and simple and will still stand out on any field. When a football boot is stripped bare in order to reduce weight, there is always the danger that comfort is compromised. 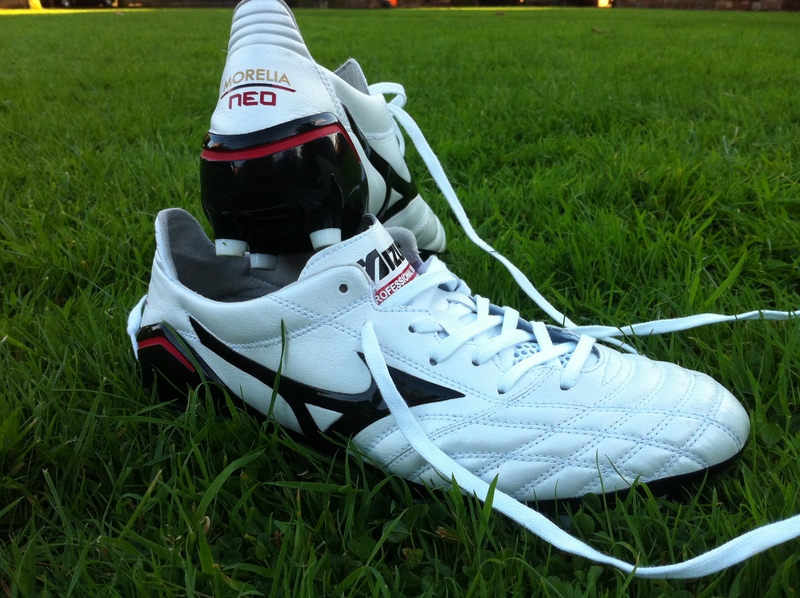 But Mizuno have not fallen in to such a trap with the Neos with a couple of effective features. Particularly the suede interior lining that offers comfort as well as preventing slipping and rubbing. Not being used to such light footwear on the football pitch and in general day to day life, it is easy to forget that you are in fact wearing these boots. Great news for purists and there is certainly no excuse for being heavy footed or caught on your heels in these. 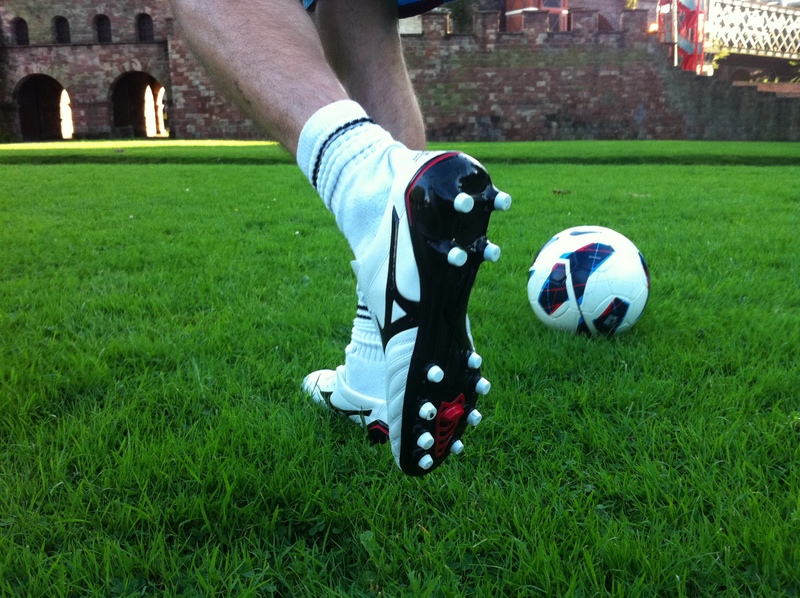 K-Leather offers a wealth of advantages to any football boots and with the Neos, Mizuno have demonstrated that a speed boot can reap the benefits too. The cushion that such high-grade leather provides is a welcome aide when looking to control the ball. And let’s face it, we all need a bit of help in this department from time to time. 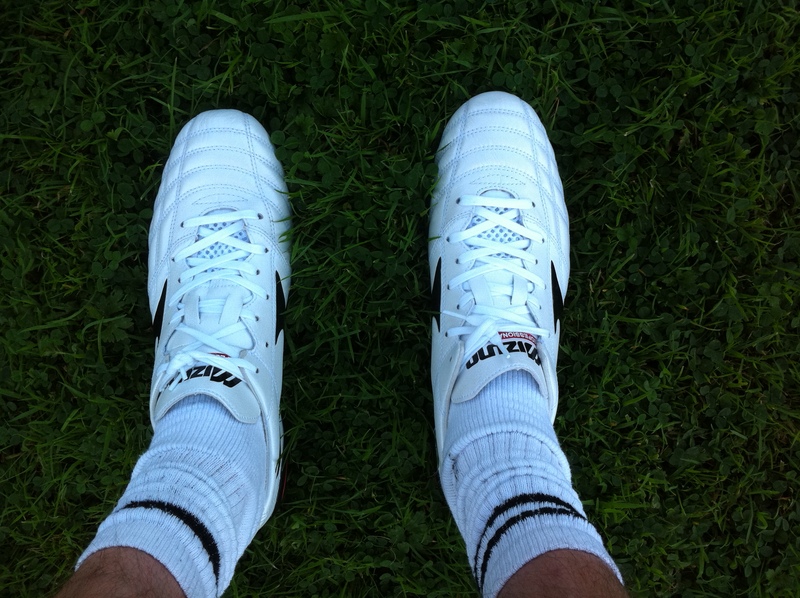 And now it’s on to the Mizuno Morelia Neo’s specialist realm. If they were to appear on mastermind then this would certainly be their chosen subject and it is easy to see why as they score very highly indeed. At just 170g they are lighter than Nike’s Mercurial Vapor and just a touch heavier than the all-conquering industry leading adidas F50 adiZero. Light means quick. Fact. With this in mind Mizuno opted for a graded Pebaz sole-plate which is significantly lighter than TPU as featured on the adiZero. There is not a great deal to assist passing or shooting on these as the emphasis is on weight and speed. 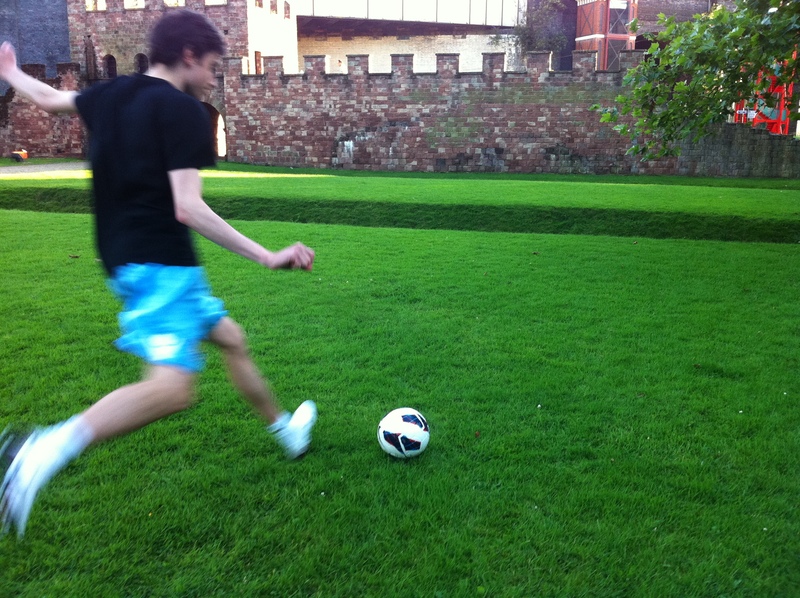 So no Nike CTR cushion pads or Lethal striking zones here. At a push the K-Leather features here with the added cushion useful when ball striking but not so much that the feeling of foot on ball is reduced. The central lacing is familiar and a hark back to days when ‘strike with your laces’ was a very literal statement. Based on the lightness of these boots they are more suited to the pinch hit and close range tap in rather than the 35 yard thunderbolt but the leather does offer a degree of support. 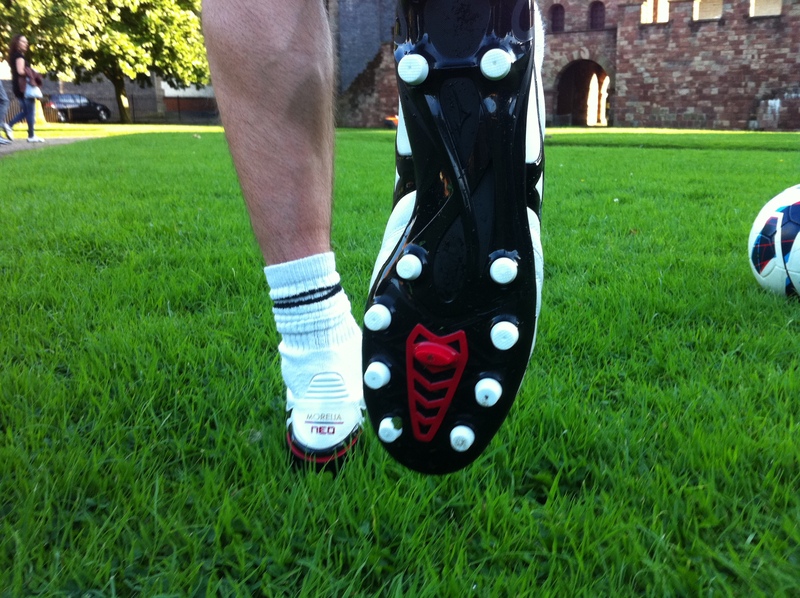 As a speed boot there is little chance of seeing a rugged centre back or midfield destroyer wearing these. Speedsters tend to tackle only when absolutely necessary and even then their conviction can be called into question. But when that scenario does arise the Neos do offer a degree of backup in the form of different densities in the heel and forefoot of the sole plate offering flexibility and yet rigidity as a supportive unit. Provided the wearer takes care of the leather there is no reason why these cannot be worn regularly without deterioration over time. There is the potential for the boots to mature and get better and more comfortable in time as the leather moulds to the foot giving you your very own custom fit boots. When it comes to pioneering technology it is certainly a case of less is more with the Neos. Nothing revolutionary about the use of K-Leather but it offers so much to the wearer. Mizuno have even gone back to basics with the classic conical stud configuration simply because sometimes original is best and a familiar and universal stud configuration helps the transition from boot to boot. The secret to the success of the Neos is not in the individual features but in the sum of these parts. All united, purposeful, effective and most importantly…light as a feather. 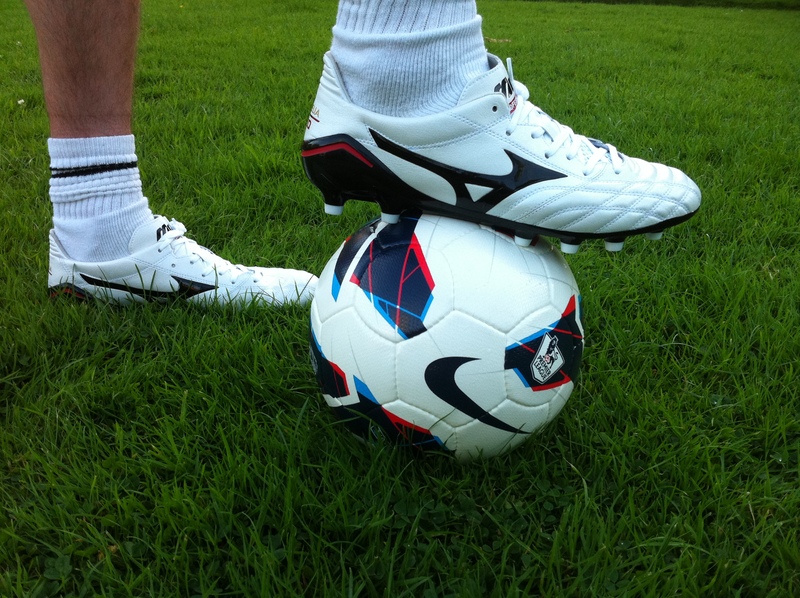 What do you think of the Mizuno Morelia Neo? Can it compete with the adidas F50 adiZero or Nike Mercurial Vapor in the speed market? Let us know via the comments section below or on our Twitter and Facebook pages. on your articles. I will bookmark your blog and check again here regularly. I’m relatively certain Iwill bee informed plenty of neew stuff proper right here!